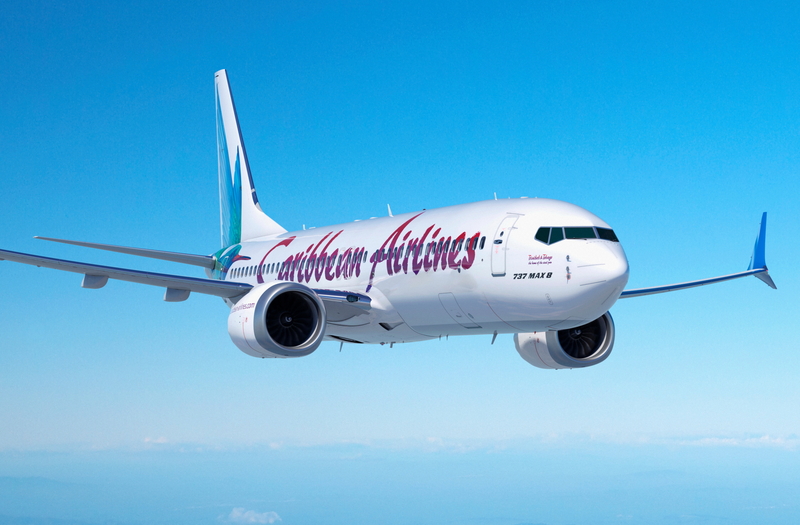 Caribbean Airlines has chosen to renew its single-aisle fleet with the Boeing 737 MAX 8. The carrier will take delivery of 12 MAX airplanes in the coming years. Caribbean Airlines Chief Executive Officer, Garvin Medera, said, "Boeing has been by our side since Caribbean Airlines was founded twelve years ago using the 737-800. The 737 MAX allows us to continue offering a safe and comfortable experience for our passengers, while significantly improving fuel efficiency and environmental performance." The 737 MAX 8 will seat up to 160 passengers in Caribbean Airlines' three-class configuration featuring the "Caribbean Plus" Cabin, and provide more than 500 nautical miles more range than the existing aircraft. The airplane incorporates the latest technology CFM International LEAP-1B engines, Advanced Technology winglets, and other airframe enhancements to improve performance and reduce operating costs. Caribbean Airlines projects the MAX 8 will provide up to 16% fuel savings compared to its current fleet. See latest HD Video Interviews, Podcasts and other news regarding: Caribbean Airlines, Caribbean, Boeing, 737 MAX 8.